Hi, just a quick mail to let you know the rack mount kit arrived here in N.Z. a few days ago and is now installed. Not ripping the customer (me ) off on postage, like so many other companies do. For a great product, certainly made a difference to my van! Thanks to Simon and all at Brickwerks. Package arrived at my workplace today safe and sound and all perfect. Cheers very much guys! Hi guys. Can I just say a massive thank you to you for dispatching my order so swiftly this week and especially for the surprise inclusion of the gasket that was attached to my invoice that will really help with the water pipe replacement job I've got planned for the weekend. I can't express just how much it means to have terrific service, advice and support from experts such as yourselves. It is really appreciated. I know your reputation for excellent delivery and customer service is well known, but I would like to say a big thank you for the excellent service and amazingly fast delivery of my order. Hi many thanks for sending water pipes to me yesterday. what a brilliant service will be using you again in the near future. I’m very happy with the parts and would like to say thank you for the great service you provided. It was a pleasure dealing with you and I will definitely order again. I previously ordered a sliding door bearing from you - you dispatched it immediately as it was an emergency and I received it the next day, this service was first class. It is because of this Brikwerks is now my No 1 choice :) Thank you again. Hello I just wanted to say a huge thank you for my T3 -50mm AVO springs . I only ordered them yesterday and have just finished fitting them after they turned up this afternoon. The van now sits about 20 mm higher than the sagging –50 mm CMC springs that have been on there for 2yrs .We can now have a safe camping holiday without the wheels hitting the top of the arches over big bumps. Thanks again for the really quick turnaround. Parts arrived safely this afternoon. Thanks again for the advice and promt service. Hi Just wanted to say fantastic service from you guys. I ordered on sunday evening and delivery came today. Just a quickie to say my order arrived about half an hour ago, and my mate is well happy with his water pipe. Another convert from the shite they peddle at [*Insert name of large internet based supplier of camper parts here] I think!! Just a quick note of praise for your 1st class service. Ordered just before 12pm yesterday..............arrived this morning..............Pure quality. Just wanted to say - Superb Service!!! Thanks - will use you again! Hi Guys, not yet opened my delivery but it came friday, "super delivery and thanks alot, appreciate it"
A huge THANK YOU, for your superb service and communications dealing with my enquiry and order. The items arrived a short time ago and are exactly what I was looking for. 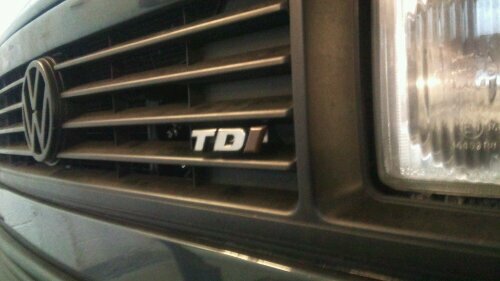 I would highly recommend you to all VW enthusiasts. I'll certainly use you again and recommend you. Popular ones these. We often get asked which fittings are needed to fit a set of factory Alloy wheels to a T3. So we've put them together in a kit. We fit them with conversion studs, mainly to ease fitting, but also to allow the use of a standard set of McGard locking wheel nuts. This entry was posted in Uncategorized on 26/01/2012 by Brickwerks. 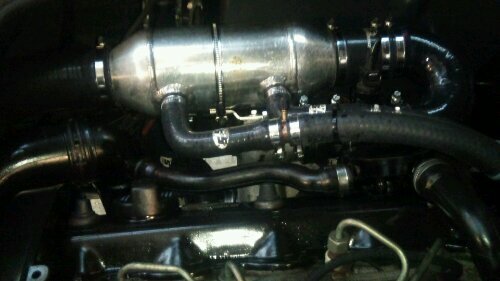 Front to Rear Coolant Pipes... 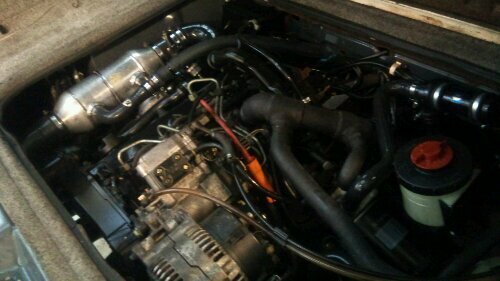 If your T3 is aircooled, no need to go any further - You dont have them, or need them. Other than the aircooled models, we all have them. Theyre a necessity on a vehicle with the radiator at the front, and the engine at the back. Theyre a pretty vital part of the cooling system. So, 2 pipes, what could possibly go wrong? Well... there are 2 styles of pipe. Early vehicles have steel pipes, smaller bore than later ones and the potential problem is as you might expect... corrosion. Later vehicles had the large bore plastic pipes. No rust problems there then? 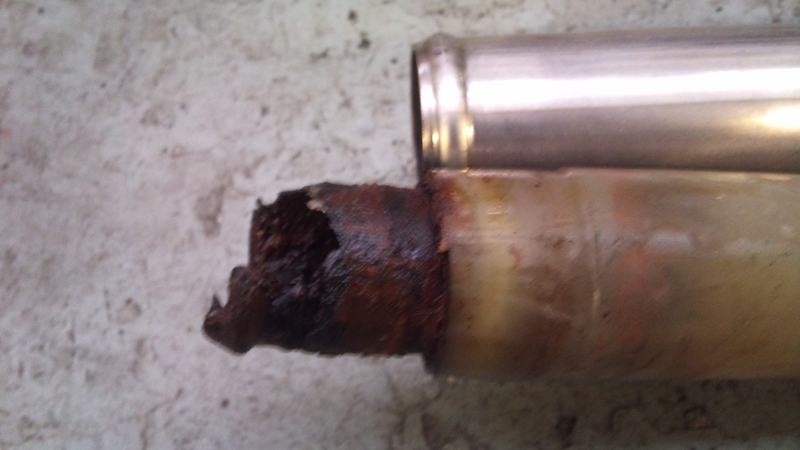 Well... yes actually its still corrosion thats causes the problem. The plastic pipes are made with steel inserts moulded into the ends. This gives something for the hose clips to tighten onto. Image shows how the end of the pipes should look. The steel insert is still completely enclosed in the end of the pipe. For comparison above is one of our stainless steel pipes. Over time the inserts corrode, and the water pressure starts to force them out of the end of the pipe. At this point they may only be leaking slightly, or not at all. It is however the point you want to catch them at, because they can only get worse. 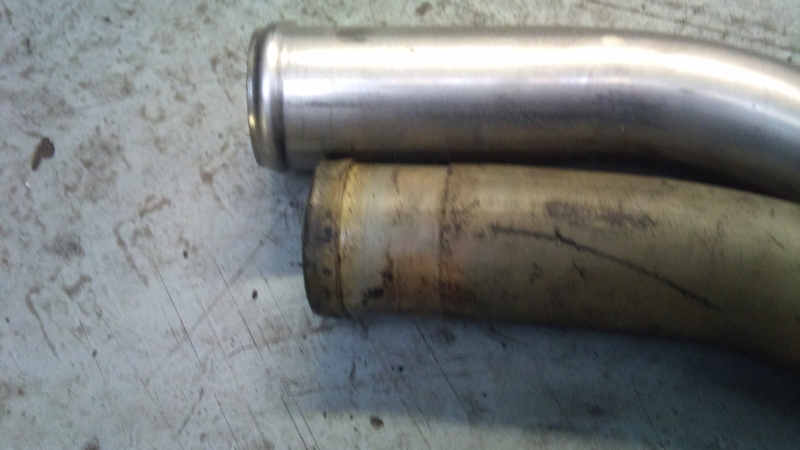 Image shows the steel insert has started to push out of the pipe. The plastic sourrounding it breaks and comes away (you can see it on the floor). This is the point where the pipe will start to leak. 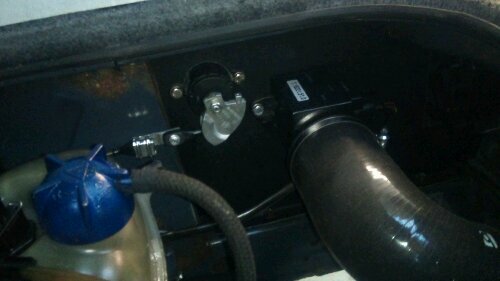 The next stage is that the insert will part company with the pipe completely, and you'll lose all your coolant. Sometimes they hang in there for ages, just dripping a little coolant until the insert gives way completely. 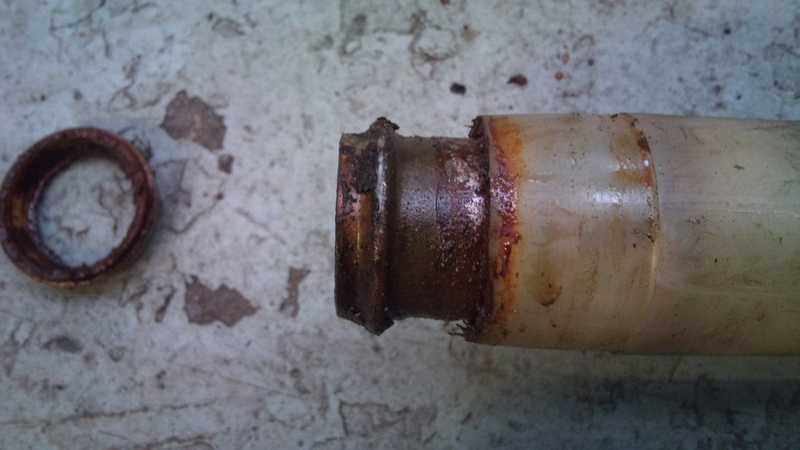 Image shows a badly corroded insert. This one looks like it had managed to stay in the pipe, and hadn't actually let go. It wasn't far from spilling the contents of the cooling system all over the road, followed by the journey home on the back of a truck. So, what happens if you do find a problem? There are a few solutions. There are kits on the market containing inserts which you can fit to the pipes, and hold in place with clips. They seem to work okay, but aren't exactly cheap or easy to get hold of. 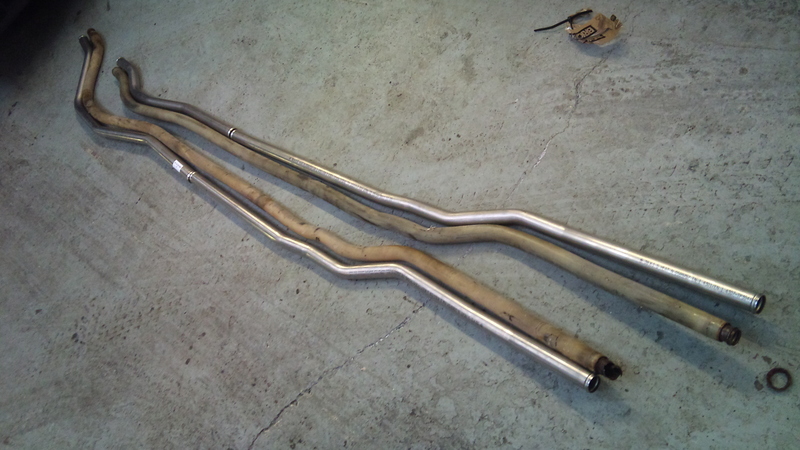 Our solution is to replace the complete pipe with reproductions made from Stainless Steel. They come in 2 pieces and join in the middle - to aid fitment and make them sensible for posting out. Fitting them really needs the fuel tank removing, so we try to do any other jobs in that area at the same time. Check the brake and clutch lines that run over the tank, gear linkage, and dont forget the tank itself. Make sure the tank is near empty, 60 litre of fuel is heavy! It'll come down quite easily, but lifting it back up might be a challenge, especially if youre doing the job on ramps at the side of the road! This entry was posted in workshop on 24/01/2012 by Brickwerks. This entry was posted in workshop on 20/01/2012 by Brickwerks. 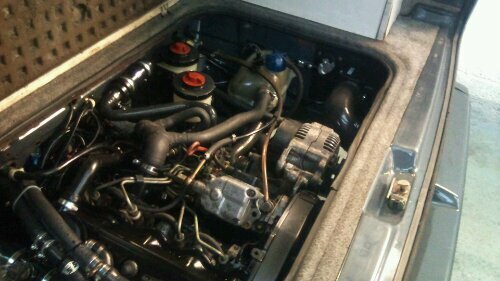 This is for Petrol Engined models with the early style cooling system upto 1985. It runs from the Thermostat Housing on the left at the rear of the vehicle to the Right Hand Cylinder head. This entry was posted in New products on 20/01/2012 by Brickwerks. This entry was posted in News on 20/01/2012 by Brickwerks. The original style Mud Flaps were available again for a short time, but are now obsolete. We have sourced these, which are almost identical both in quality and appearance. The obvious difference is the large VW roundel which is missing from the rear flaps. Mounting is exactly the same as the originals - through holes in the body just behind the front and rear arches. Fittings are included. Also included are the mounting brackets and plates (in stainless steel). All in all, a great bit of kit. This entry was posted in News on 17/01/2012 by Brickwerks. 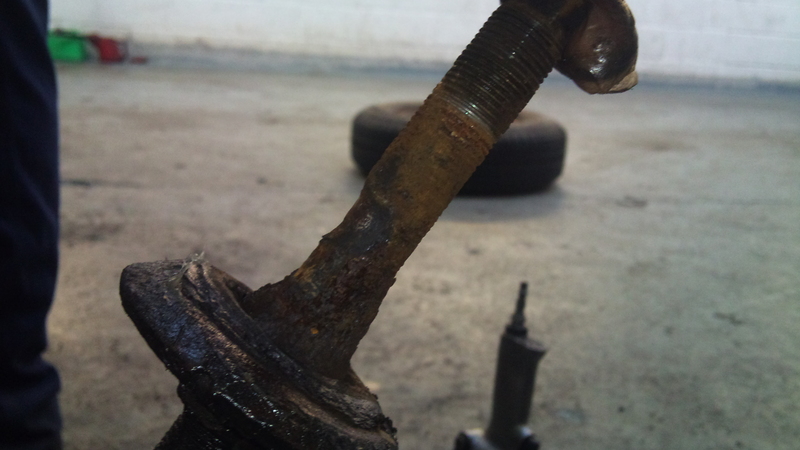 You cannot check the ball joints on a T4 in the normal way by simply jacking the vehicle up and shaking the wheel. The wheel has to be removed from the hub and a bar inserted between the hub carrier and the upper arm and prised apart to check for play. 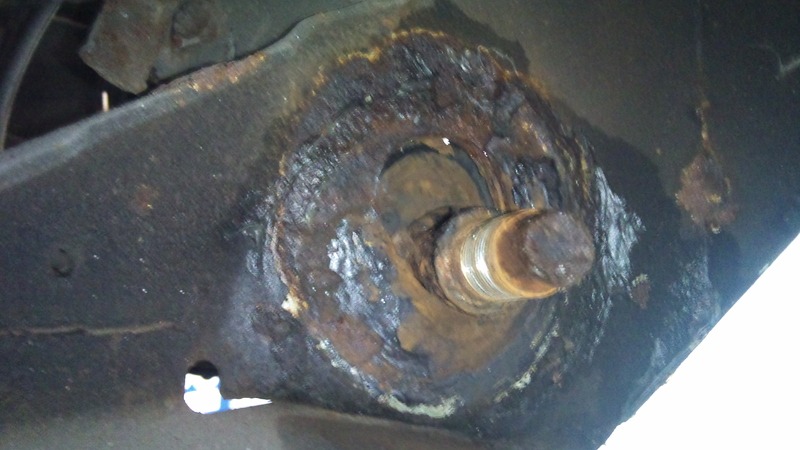 We see vans quite often here that come in for service whose ball joints are as in the video above, absolutely knackered! when we show the customer they often say well, it's just gone through an MOT!" Changing a T4 upper ball joint takes about 1 hour per side but it does require the use of a special press to remove and replace. This entry was posted in workshop and tagged ball joint, ball joints, hub carrier, t4, T4 Ball Joint, T4 Balljoint, upper arm, vans, VW T4 on 13/01/2012 by Brickwerks. This entry was posted in workshop on 13/01/2012 by Brickwerks. T3 Pillar Trims. Back in Stock. Unavailable for a short time, but now back in stock. And a little bit cheaper too! This entry was posted in News on 13/01/2012 by Brickwerks.